The theme of generation 0 is the "entrepreneur" and "music”. We are college students of Okinawa, on the other hand representatives in Okinawa of POP band and music business of student circle. Also we are doing planning and production of music programs which is sponsored by USTREAM of the music sound market town . Join us music Lovers, let's talk about the music of Okinawa and POP music! 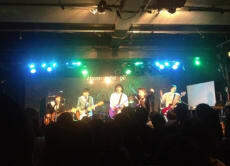 Go to a live concert of an Okinawan indie band!